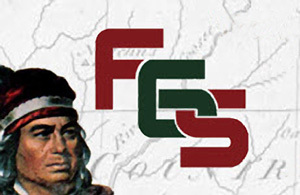 Records access is getting high priority attention at the 2012 Conference of the Federation of Genealogical Societies, which got underway officially this morning in Birmingham, Alabama. Even before the official start of the conference, there was an important APG Roundtable session last night on “Records Access: the Art of Advocacy.” Attendees at the Roundtable, moderated by Thomas MacEntee, heard from a panel of four top-flight genealogists — Alvie Davidson, CGSM, of Florida, a member of APG’s Advocacy Committee; Teri Flack, chair of the Texas State Genealogical Society’s Records Preservation and Access Committee and Texas state liaison to the national RPAC; Polly Kimmitt, CGSM, president of the Massachusetts Genealogical Council, the records access watchdog for Massachusetts genealogists; and Kelvin Meyers of Texas, a founding member of the Council for the Advancement of Forensic Genealogy. Attendees report that APG’s tone is one of commitment: to action, to getting things going to fight for records access. Though it was a dead serious subject, one method chosen to get the point across was humor — the skits got rave reviews. And they prompted a free flow of really solid ideas from all. One proposal was coordinating efforts by genealogists with those of other industries who stand to be hurt by records loss, including the media. Another was ensuring a good solid legislative approach by talking to legislators at the start of the process, keeping tabs on the timing of legislation to be able to speak out when it will do the most good, and choosing the right person tactically to carry the message. Yet another was avoiding form letters to legislators (one panelist quoted a Senator as saying he mostly heard from “slactivists” — people who copy and send a form letter instead of taking the time to write their own). And perhaps the best was putting together a set of positive presentations showing the good that comes from records access to counter all the overblown reports of identity theft. • Session W-110, the “RPAC Update Session,” from 11 a.m. to noon today, Wednesday, 29 August, should be right up at the top of your list. This is a meeting of the Records Preservation and Access Committee (RPAC). That’s a joint committee of the Federation of Genealogical Societies, the National Genealogical Society, and the International Association of Jewish Genealogical Societies (the Association of Professional Genealogists (APG), the Board for Certification of Genealogists (BCG), the American Society of Genealogists (ASG), ProQuest and Ancestry.com also serve as non-voting members). Though the syllabus makes it sound like only state representatives should attend, the meeting is open to everybody at the conference, and there’s much everyone concerned with keeping records open can learn. You’ll hear from a panel of RPAC members about what’s going on in records access today. • Session F-323, on Friday, 31 August at 11 a.m., will feature RPAC attorney and blogger Frederick E. Moss speaking on “Genealogists: Why Do Officials Hate/Ignore Us?” The syllabus describes this session this way: “It is clear that governors and legislators do not understand why we do what we do. Genealogists need to be able to articulate our reasons for wanting to know more about those who have gone before us. We need to educate decision makers that restricting access to vital records does not protect citizens from identity theft and may, indeed, have the opposite effect. Options available to the Records Preservation and Access Committee and other community responses. Tourism potential of archives and collections. How we can work better with decision makers.” In other words, if you want to be better able to fight for open records in your local area, this is a session for you. I hope you’ll keep those of us who are attending posted on your blog. Thanks for the updates, Judy! I’m counting on those who are there to keep ME posted, Marian!! It is a problem all over the place, I am afraid. The Library and Archives Canada just laid off employees that could help us to find records at the archives. They currently have a letter writing project underway at the Ontario Genealogical Society. It certainly is an issue everywhere, Elizabeth, and that Library and Archives Canada situation is just so amazingly sad. I’d have more sympathy for the comment by the Senator regarding slactivist form letters if I thought he actually read any of them. Most legislative offices mainly create a tally sheet of those for and against, and it would be relatively unusual for even a staffer to carefully read a submitted letter or email unless it was on a personal issue. They do have staff that read (look at) enough of them to know when all they’re getting are form letters, David. So it’s worth it to take the time to do better when it’s important to us.